Despite its complexity, the immediate management of a patient with a Left Ventricular Assist Device (LVAD) in the Emergency Department (ED) is relatively straightforward. 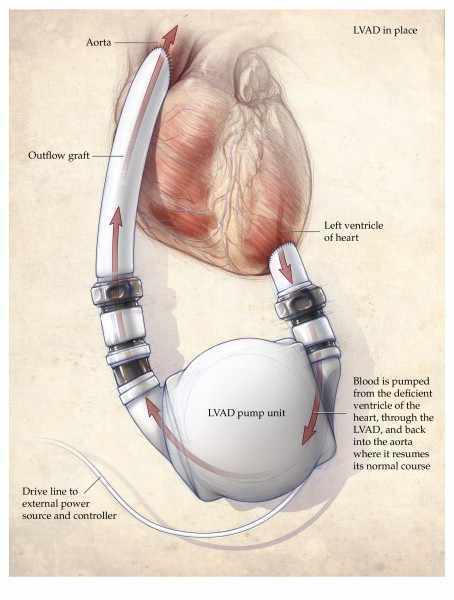 A left ventricular assist device is a type of implanted mechanical circulatory device that increases cardiac output by pumping blood into the aorta in patients with advanced heart failure (HF). While the first LVADs operated with volume-displacement pumps, the technology of current devices (2nd and 3rd generation LVADs) works by means of frictionless electromagnetic engines that avoid contact between the bearings and the blood chamber. This fact is clinically relevant because the result is continuous blood flow, which will not produce a traditional pulse pressure waveform. Additionally, compared to prior versions, these devices have fewer complications such as hemolysis and thrombosis. Why is this relevant for Emergency Physicians? 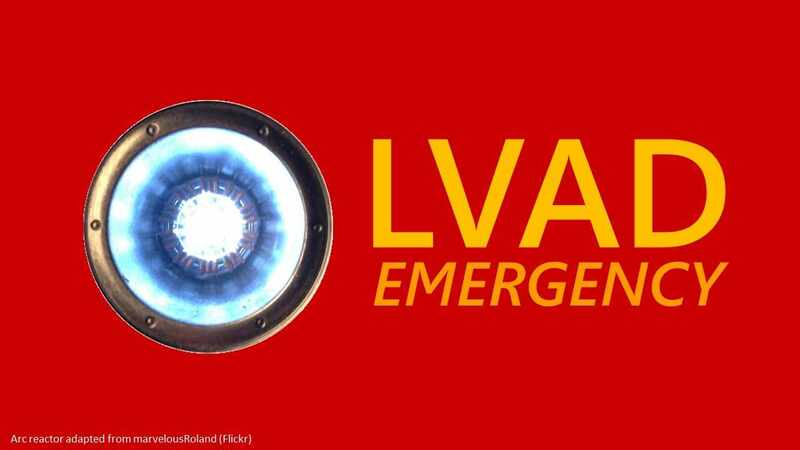 While emergencies in these patients remain infrequent events in the ED, indications for implantation of LVAD have expanded. As the prevalence of advanced HF is increasing, it is expected that the use of this therapy will increase exponentially in the next years. Current indications for LVAD placement are as a bridge to transplantation, as a destination therapy in those who are not candidates for a transplant or as a bridge to recovery, when the etiology of the failure is expected to resolve (e.g., myocarditis). This is a not a comprehensive review of LVAD management; rather, we aim to describe the general initial approach to a patient with an LVAD presenting to the ED. Although many things can happen to patients and their LVADs, all emergencies have a common final pathway leading to acutely decompensated heart failure (ADHF). Remembering this concept will facilitate the workup and management significantly. Gather information about the device, including type, date of implantation and indication. Make every effort to alert and discuss the case with the LVAD coordinator and the implantation team. These patients are complicated and a team approach including emergency physicians, cardiologists, intensivists and cardiac surgeons is necessary. Patients need to be monitored aggressively. Remember that ventricular arrhythmias are frequent in this population. Since current LVADs produce continuous flow, automatic manometers will be useless. Instead, patients should have a mean arterial pressure (MAP) measured, which is obtained with a manual sphygmomanometer and a Doppler or ultrasound as a surrogate for auscultation. The pressure at which return of flow is heard by Doppler or seen by ultrasound during deflation of the cuff will be the MAP, which in LVAD patients fluctuates between 70-90mmHg. Occasionally the device can malfunction. Typically the LVAD will stop creating the humming sound from the propeller and often will emit an alarm (i.e. battery problem or decrease in flow). In this scenario, it is helpful to review device-specific troubleshooting recommendations from the manufacturer. 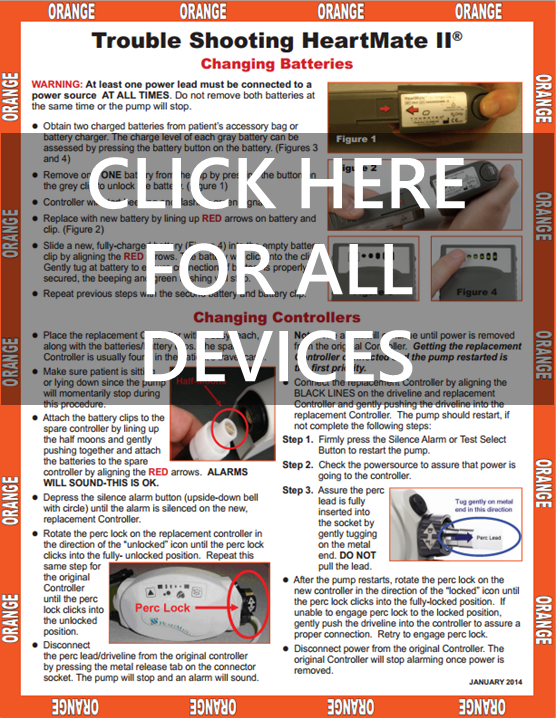 MyLVAD EMS Field Guide offers a great resource to obtain information on how to troubleshoot any device. Management is very similar to non-LVAD patients, with regular resuscitation algorithms and medications but with emphasis on early surgical consultation for the management of mechanical issues. Considerable controversy exists about the ability to perform chest compressions for the resuscitation of LVAD patients in cardiac arrest and cardiovascular collapse. Although there is recent evidence supporting the safety of compressions in this setting, current manufacturer recommendations are to not perform CPR. We recommend that the decision regarding compressions should be at the clinician’s judgement and if possible after discussion with the implantation team. Acutely decompensated heart failure (ADHF) occurs in 20-25% of the patients with an LVAD and constitutes the common final pathway of multiple device and non-device related problems. From a conceptual and practical perspective, it is useful to organize the approach in the following manner. In patients with LVADs, the etiology for ADHF is commonly the worsening of their intrinsic cardiomyopathy; however special consideration should be given to pericardial tamponade, pump thrombosis and severe hypovolemia. Right ventricle failure. LVADs depend on adequate RV function to feed the mechanical device. Common causes of new RV failure are ischemia, pulmonary embolism, tricuspid regurgitation and pulmonary hypertension. Management is directed at the cause in a similar fashion to non-LVAD patients. Device failure. Although pumps rarely fail, this is still a possibility that needs to be evaluated. Consideration of problems with batteries, cannulas and drivelines needs to be considered. Left ventricle failure. The failure to pump enough blood may be related to intrinsic worsening of patients’ left function (e.g., myocardial ischemia), aortic insufficiency, severe anemia or pump thrombosis. Heart ischemia is managed with a standard approach while pump thrombosis may require increase in anticoagulation or eventual pump exchange. Severe valvular disease is managed with diuretics, pump speed adjustment or surgical correction. Severe bleeding can affect the overall filling volume of the right ventricle leading to overall acute heart failure as the left ventricle does not have enough filling volume. Management of severe bleeding or hypovolemia follows a regular approach. Arrhythmias are very common in this population and they are a common reason for presentation to an ED. Fortunately severe arrhythmias are much better tolerated in this population as a component of the left ventricle flow is independent of the intrinsic rhythm. The management of arrhythmias in this population does not differ from the management in a regular population. Supraventricular arrhythmias. They are very common in patients with advanced heart failure and although well tolerated they can contribute to worsening left ventricle flow. The management is focused on rhythm control. Ventricular arrhythmias. Up to 50% of patients with LVADs can suffer from ventricular arrhythmias. The patients tolerate this rhythm disturbance better than regular patients as left ventricle flow is not significantly affected in most cases. However the main potential complication if not corrected is RV failure. Emergent cardioversion is not necessary if the patient is stable, but should be discussed with the LVAD team. Cabrera D, Decker WW. Chapter 63. Management of Emergencies Related to Implanted Cardiac Devices. Emergency Medicine; Clinical Essentials. 2nd ed. Philadelphia, PA: Elsevier Saunders; 2012. p. 547–57.